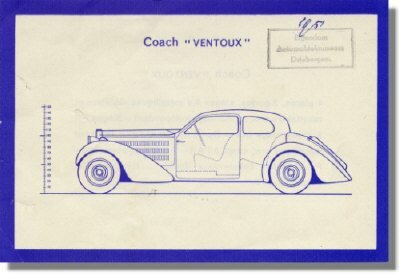 1930's Bugatti Type 57 Coach Ventoux Drawing / Print. This is a "print" that originates from a 1930's Bugatti Sales portfolio and that shows the Coach Ventoux body. 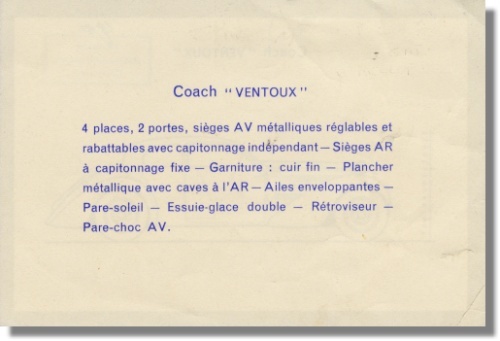 The rear lists the details of the coachwork in French. 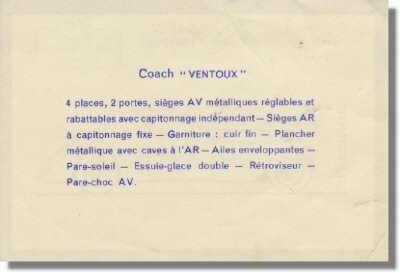 The front has been stamped by the former "Automobielmuseum Driebergen" in The Netherlands and hand dated 1951 (probably the date that the museum acquired this piece).